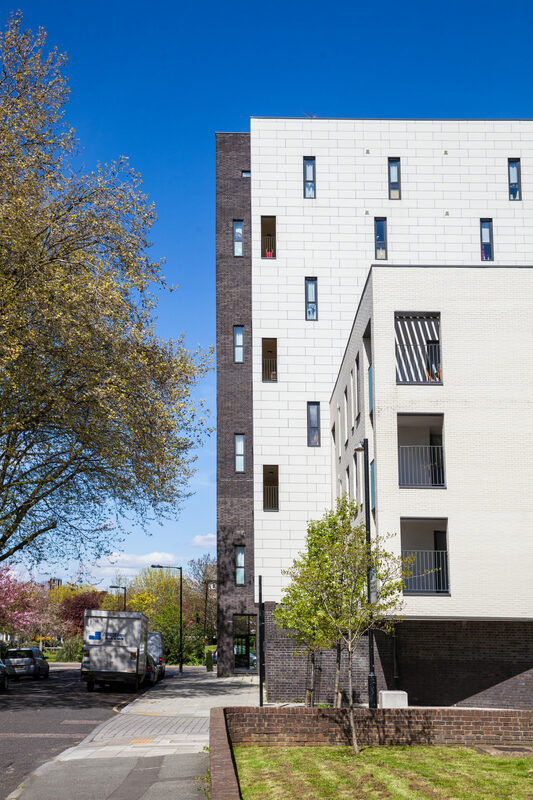 Townsend Street was won in a limited competition and was one of the first completed developments of the Elephant and Castle Regeneration, providing 37 residential units. Townsend Street is one of the first completed housing developments of the Elephant and Castle regeneration programme. As one of 12 architects selected to design new housing for the community, we developed a design that took a tricky infill site and provided homes that create a real sense of place for the community. 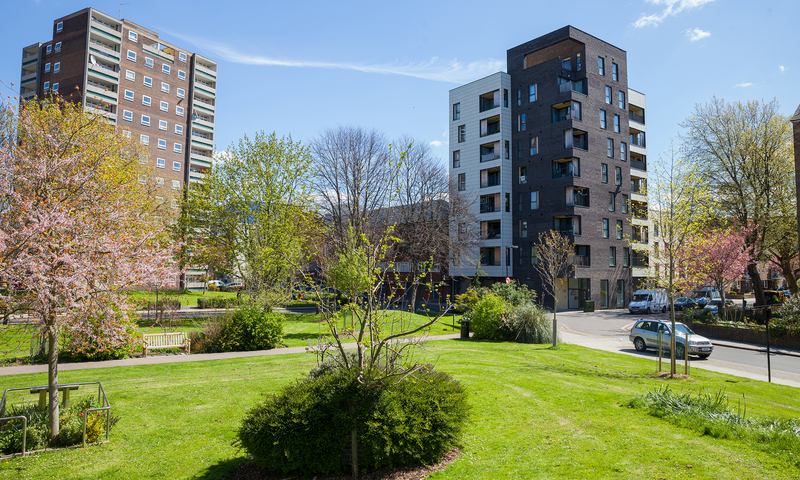 Made up of a 12-storey tower and four low-rise blocks, the development provides 37 well-planed residential units, including 13 3-bed family homes with gardens. The design focuses on placemaking and identity in this rapidly changing part of London. A simple palette of materials, including anthracite grey brick at the base of the buildings and crisp white cladding on the upper storeys, helps to knit Townsend Street into the surrounding area. 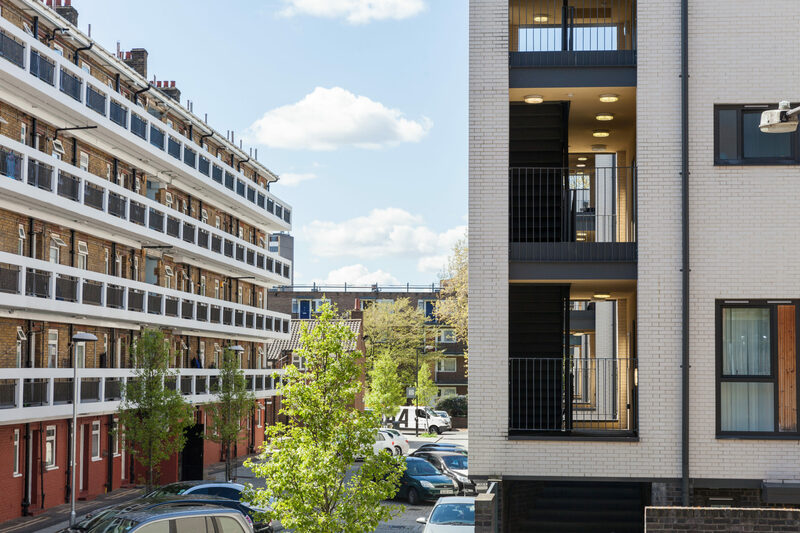 Hung staircases mirror across the low-rise buildings creating a visual connection and permeability to the development while balconies and gardens provide ample amenity spaces for residents. A controlled ‘home zone’ area, with car parking located underground, minimises all but essential vehicular access to create an improved pedestrian environment.